We have recentlly changed the name of our park to "Oakland Holiday Park". Please click on the logo below to go to our new website. Welcome to our web site. Early in 2014 we changed the name of the park from Homestead caravan park to Oakland Holiday Park to better reflect the parks rural location . Set in the picturesque Staffordshire	countryside close to the Shropshire border. Located approximately 3/4 of a mile from the historic village of Brewood. You can enjoy peace & tranquillity and relax in this wonderful rural setting. 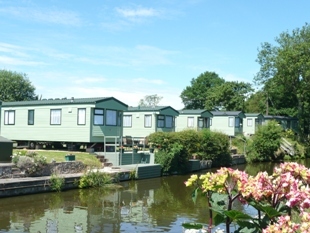 We offer a friendly personal, value for money service and to quote a recent client "Great British Service"
This family run Staffordshire caravan park is complimented by modern facilities and modern caravan holiday homes for sale. 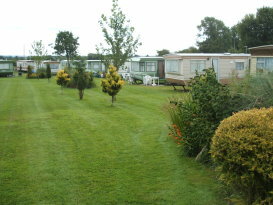 The New and pre-owened static caravans for sale are all good quality and exceptional value. With flooding around the country you may rest assured that we have no history of flooding here. The Shropshire union canal which runs along the bottom end of the park has its water level tightly regulated. The Staffordshire Way also runs along the base of the park with Belvide reservoir to the north east. 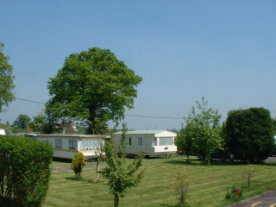 We have a range of New and Quality used twelve and ten foot wide caravan holiday homes for sale. Static caravan holiday homes at the caravan park are an ideal retreat to get away from the hustle and bustle of modern life, to use as the perfect base to visit the many places of interest or to visit realitves who may live in the area. 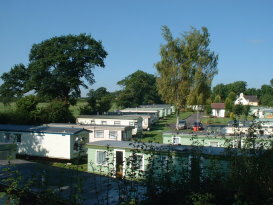 This staffordshire caravan park is open from the 1st of March to the 2nd of January. See our "news" page for special offers, office and leisure club hours. We are a members of the British Holiday and Home Parks Association. We offer a friendly personal service and look forward to welcoming you! If you require a brochure or have any questions please do not hesitate to contact us info@oaklandhp.co.uk or telephone 01902 851302 for static caravan sales in Staffordshire. Please do go to the menu tabs to find out more about our caravan park and some of the caravan holiday homes for sale on the park. The news tab will give you information of whats on and offers available. Self catering chalets available for hire open all year. self catering accommodation. 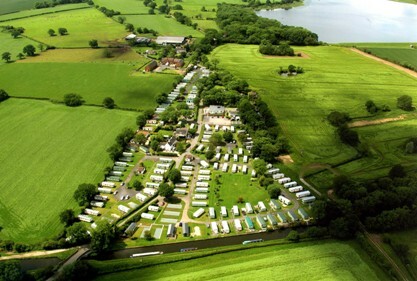 Buy a staic caravan in Staffordshire at the Homestead Caravan Park Shutt Green Lane near Brewood South Staffordshire. Staffordshire caravan sales. Staffordshire static caravan sales. 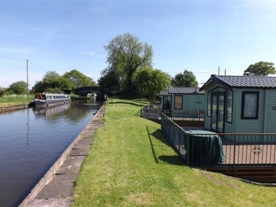 Come and see our range of ten and twelve foot wide static holiday caravan homes for sale including, Swift caravans, Atlas caravans & Willerby caravans.